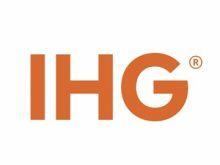 InterContinental Hotels Group has signed a management agreement with Tipping Point Hospitality for Holiday Inn Goa Candolim. Nestled amidst two of North Goa’s famed destinations – Candolim and Calangute, the hotel is expected to welcome guests in November 2019. Offering leisure and corporate travellers a perfect stay experience, the newly built , 110-room Holiday Inn Goa Candolim will be a 30-minute drive from the city centre and a 60-minute drive from Dabolim Airport. The hotel is also in close proximity to North Goa’s popular entertainment and nightlife destinations and is a 15-minute walk from Candolim beach and Sinquerim fort. In addition to featuring well-designed, fully-equipped guest rooms, Holiday Inn Goa Candolim will comprise expansive meeting spaces and a business centre to meet the rapidly growing MiCE demands in the city. Holiday Inn Goa Candolim will feature an all-day dining restaurant and a lobby bar, offering guests some great dining options at the hotel. The hotel will also feature leisure facilities such as an outdoor pool and a gymnasium for guests to enjoy their time during their stay.